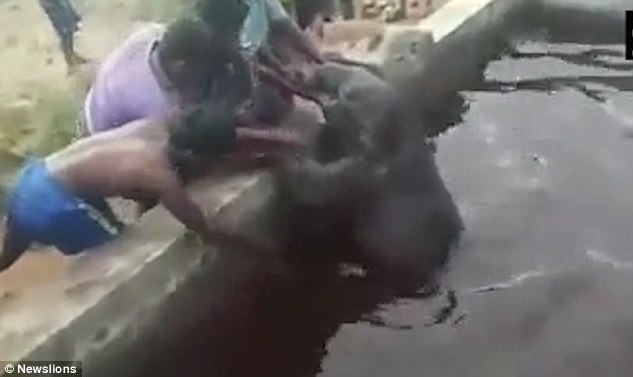 Footage has captured the dramatic rescue of a drowning baby elephant after it fell into a water tank. The five-month-old male calf was rescued by villagers in the south Indian state of Tamil Nadu earlier this month. The animal, which came from the adjacent Nilgiris Biosphere Reserve in Periyanaickenpalayam, is believed to have fallen in while trying to drink some water. 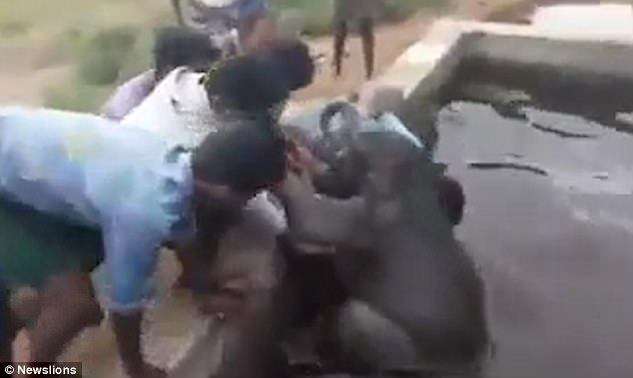 Forest ranger Palaniraja said: 'On June 11, we received information from the villagers that three wild elephants were raiding fields at Rayaruthupathi near Naickenpalayam on the outskirts of the city in the early hours of June 11. They managed to scare the other elephants away using firecrackers. Once the wild elephants were gone, the villagers noticed the trunk of the calf bobbing up in the water tank at Rose Garden, a private farm. 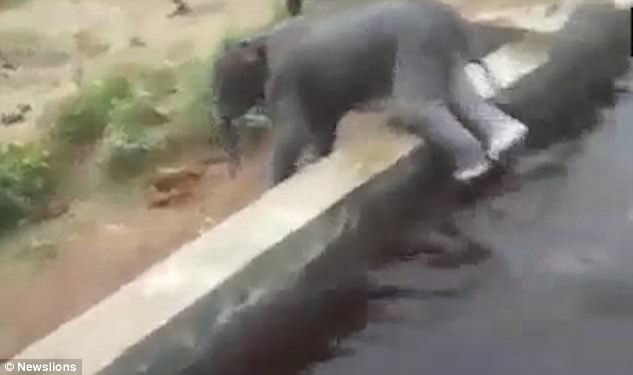 'It's possible that the baby elephant got freaked out after hearing the sound of the firecracker and fell into the tank while trying to escape,' said Palaniraja. 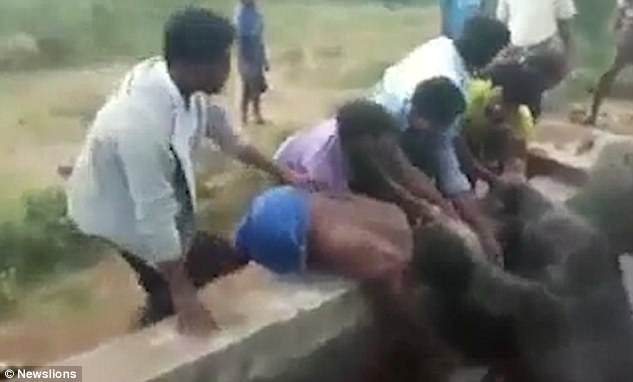 Video footage shows six villagers tugging the elephant calf out of the water by its legs and trunk. After pulling the calf onto dry ground, the rescuers flee in fear while the baby elephant staggers around. The calf was part of a herd of eight elephants that visited the area to drink water and feast on the crops. 'The herd was waiting for the calf around 150 metres away from the water tank,' said the forest ranger. Rescuers later managed to reunite the calf with its herd in the reserve forest, where anti-poaching watchers are monitoring the animal.